What To Wear To A Wedding - never the same dress twice! The invitation arrives in the mail - you're excited to celebrate the nuptials of a loved one & bask in their ultimate bliss. But then it hits you - and you have to decide - what to wear to a wedding! Well, certainly not the same dress you wore to the last wedding! Most women prefer not to wear the same dress twice in one wedding season - let's face it. After all, what if there are repeat guests in attendance who will notice?! Or more importantly, what if you just don't want to wear the same dress again?! Fear not. We are here to help make sure you don't repeat your looks and help you figure out what to wear to a wedding. 1. RENT - Believe it or not, you can rent a dress as easily as you can rent a car these days with a few clicks of the mouse. Renting is the perfect way to get a new dress for the many weddings you will be attending at a great price. Sites like Rent The Runway loan out some of our favorite high end designers like Diane von Furstenberg, Proenza Schouler, and Missoni. The only downfall is that you have to give it back. But who cares?! That's just another excuse to need a fresh dress. SOMETHING TO NOTE: Read the previous renter's reviews for true feedback - especially when it comes to fit. And look at their pictures to see what the dress looks like on non-models. 2. 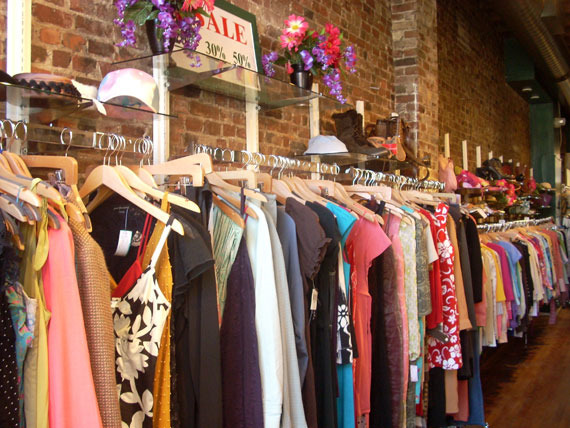 CONSIGN - Consignment shops like Second Time Around can be great places to score awesome, gently worn, designer dresses at rock bottom bargains. One woman's "trash" is another woman's "treasure," right?! Consider re-consigning the piece yourself when wedding season is over to make a little money back before you move onto the next dress. SOMETHING TO NOTE: Be mindful of any damage or wear to the dress and use it to your advantage. Often times if you point out a flaw, they'll shave 10% off the ticketed price. If it's minor & fixable, consider it a bargain. 3. BORROW - Have you ever admired a friend's closet and wished it were your own? Well, why can't it be for a weekend? Reach out to friends who would be open to sharing their wealth with you. Make it fun by bringing over a bottle of champagne and having a fitting party! SOMETHING TO NOTE: Always professionally dry clean the garments before returning them - and be honest if any damage was done from a spilled open bar bevvie or a tear from tearing up the dance floor. 4. REINVENT - Scower your closet for a basic dress you love that you can reinvent with new accessories. Take a black dress - punch it up with a chunky necklace, throw on a wild pair of shoes or top it off with a fun hat & clutch. SOMETHING TO NOTE: Accessories are always a good investment because you can wear them with an array of looks. Find unique, custom-made pieces on Etsy for an extra personal touch. Still not satisfied with your wedding guest look? We're happy to provide personalized, custom fashion advice. Just ask!